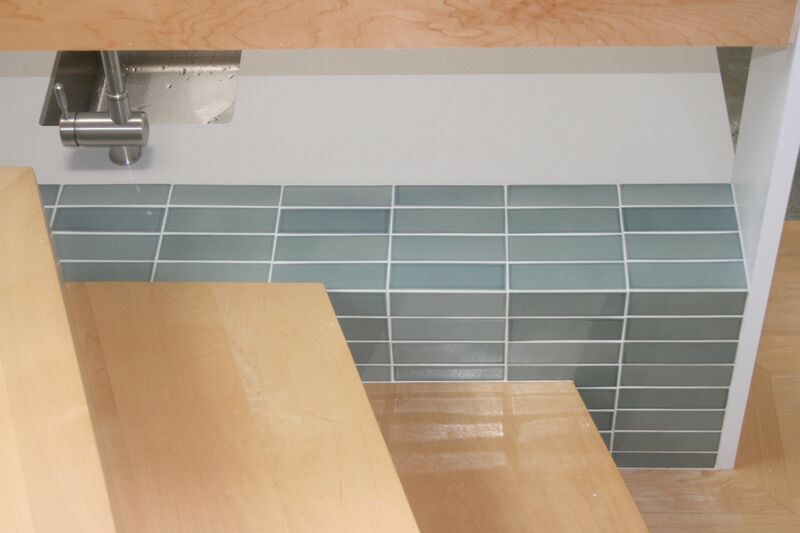 Architect Diane Waingrow is using Heath tiles on one of her current home remodels. These tiles are beautiful and are made following “green” guidelines. Green architect Diane Waingrow installed beautiful Heath tiles in a recent home remodel. Los Angeles area Green architect Diane Waingrow has an eye focused on design and a heart set for the environment. That is why she couldn’t use just any tile for the current remodel she is working on. She has chosen Heath brand tiles because this company shares her ideals about doing the right thing for the planet, and puts out a product that minimizes its environmental impact from the beginning to the end of a job. Pair that with the beauty of the tile themselves and it became obvious to Diane that she would be proud to showcase them, both in projects as well as in her own home. Diane specializes in custom home remodels. She has been a home architect for 20 years, using an eco-friendly and solution-oriented approach. Heath Ceramics has been an iconic American business since 1948. Their products are beautiful and are made with rich glazes that are graded in variation depending on how much movement and complexity is desired in the overall aesthetics. They are made to order and can take just 4 weeks or less for delivery. Even though the tiles are fired at a lower temperature for energy efficiency, they are an extremely durable and non-porous product. All of the pieces are created to withstand the elements and last a very long time. Their tiles are often found in mid-century homes, and even the famous Dwell magazine has their own tile available through Heath. They are truly an environmentally conscious company, and their green standards are impeccable. A few of their sustainable practices include using a gray water system and recycling their clay scraps and glazes. Their efforts have not gone unnoticed either. It is possible for an architect to obtain LEED credits for their projects when they use Heath tiles. LEED stands for Leadership in Energy and Environmental Design and is a method for rating how sustainable a building is. For her current remodel, Diane will be placing the Heath tiles in the kitchenette as a back-splash and in the bathroom as an accent wall. She believes that there are many uses for these tiles to make a striking aesthetic statement, both indoors and out. Diane believes that Heath tiles were the natural choice for this project and she plans to use them again in the future. Diane Waingrow is a remodel architect in Pacific Palisades, CA. She has created many wonderful spaces for her clients, and offers free consultations. This press release was prepared by Bobrow Consulting Group (BCG) for Diane Waingrow. BCG works with building design professionals to build their business by optimizing their online strategy, teaching marketing for architecture firms as well as offering web design and SEO consulting services.